We are thankful for the reviews many of our guests have taken the time to write. You can see some of the more recent reviews received through VRBO or Tripadvisor in the respective property tabs on this website. Here is a review we recently received from a happy guest at our Palms at Wailea #503 condo. Mahalo! Our family of four – 2 adults and 2 teens had a great stay in Maui. The condo was incredibly well maintained and organized. 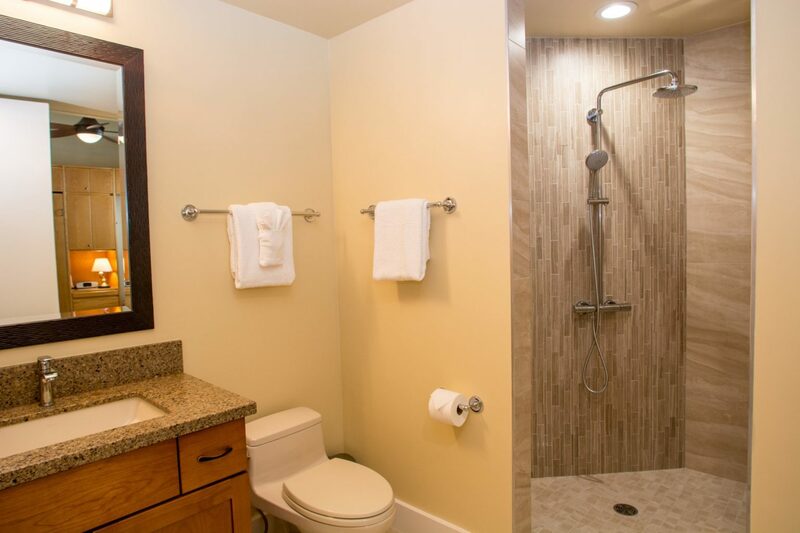 Both our daughters now think their bathroom at our home needs to have a rain shower installed just like the condo’s clean, modern bathrooms! We appreciate the owner’s blog and also they had a copy of a Maui guidebook available to look up last minute ideas. We appreciated all the extras from beach towels to boogie boards, cooler and beach chairs. We only ate breakfast in the condo and felt a bit guilty not taking advantage of the bbq and the well stocked kitchen. Each room has A/C – but the ceiling fans and big patio doors offered up a wonderful breeze and we didn’t find the need to use the air conditioning at all. The pool area is an easy 2 minute walk and offers a bit of shade and plenty of sunshine too. This is our favorite area to stay in Maui (we hadn’t been for 7 years) and Wailea/Kihei still rate number one with us. Excellent restaurants from fancy to casual, not so crazy as the Lahaina area and perfect beaches from large to small little beach coves. It is about a 15 minute walk to the shops of Wailea and cocktail hour at all the area’s hotels. Driving plus free parking was never an issue.